Online shopping has become a huge rage worldwide. Switch on the computer, log on to the website and at one click, you can buy anything under the sun (except pets, I think). I recently stumbled upon Shop InOnIt, which has been around for quite sometime. Launched in 2011, Shop InOnIt was launched like an e-magazine, which gave updates about deals around Mumbai, restaurants, events etc. With the rise of online shopping in India, Shop InOnIt moved one step further and introduced a one-of-a-kind 'Shop-azine', where you can buy products, read reviews and stay updated with the recent events in Mumbai. Amazing, isn't it? After going through the website and looking at all the products, I thought of sharing a list of five awesome items that caught my eye! It's fun, it's cute and It's Quirky! Yes, I am in love with the Quirk Box dolls vest, which was launched last year. Layering is fun during the Winters and a sleeveless vest can be your go-to item in Summers. What better than a fun, quirky item that can be worn throughout the year? Travelling? Don't forget your passport! Well, how can anyone forget their passport if they have such a adorable passport cover. 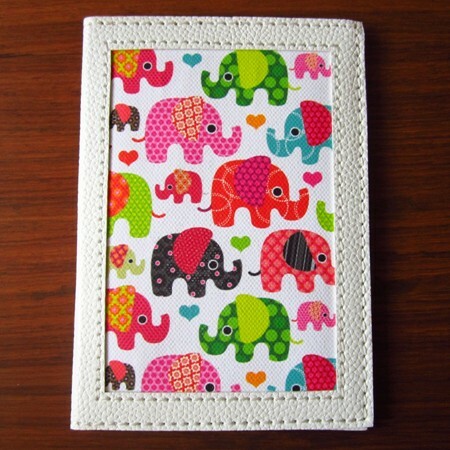 I am a bit biased towards this print, because I love elephants (1. Because they are super cute and 2. Because I love lord Ganesha. Remember, the god with an elephant trunk? Yes!). Also, it's so colorful. When you are travelling, all you need is happiness by your side. 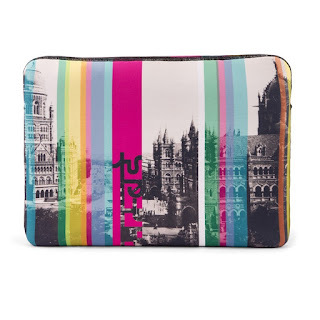 This passport cover does just that (Colors = Happiness). Love Mumbai? Then show it to the world. This laptop sleeve has an old world charm, with a monochrome photograph of the Old Chhatrapati Shivaji Terminus (then known as Victoria Terminus) and the BMC headquarters. The colorful strips in between, with Mumbai written in the Devanagari script, add a lot of drama to this charming sleeve. Hands down, one of the best I've seen on any online shopping website. All the Tendulkar fans in the house, I am sure you will love this! This pop-artsy table clock is perfect for all the fans of master blaster Sachin Tendulkar. A perfect gift for any cricket fan, this table clocks tells a lot more than just the time. This is such a vibrant and colorful scarf. 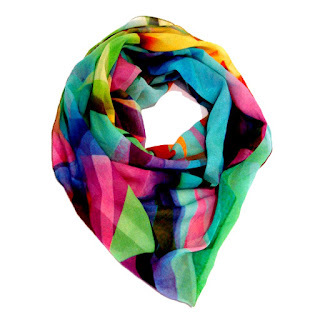 Wear it with a white Tee or flaunt it on a Tan satchel, this neon scarf is a winner. It can be used in so many ways. A bright scarf should definitely be in every girl's wardrobe, as it can spruce up a dull outfit any day. - Shop InOnIt has a wide range of products, right from apparel to accessories and even fun gift items. - Pricing is pretty reasonable. 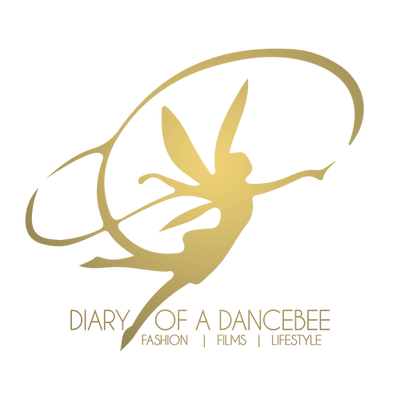 - They have many different designers and brands to choose from. - You can shop for different occasions, as all the items are available under one roof. - Payment options include COD in India. International shipping is also available. What's your favorite item from this list? Have you shopped at ShopInOnIt? Share your experience with us. This is a nice selection of stuff. Been on Shop InOnIt a few times but I didn't end up buying anything, because I've been doing way too much offline shopping!